While women’s backpacks have had an exponential increase in popularity over the last couple of seasons, men’s backpacks have never dipped out of the accessories spotlight one bit. They’re a practical choice for men of all ages, especially when you live in a busy city like New York. 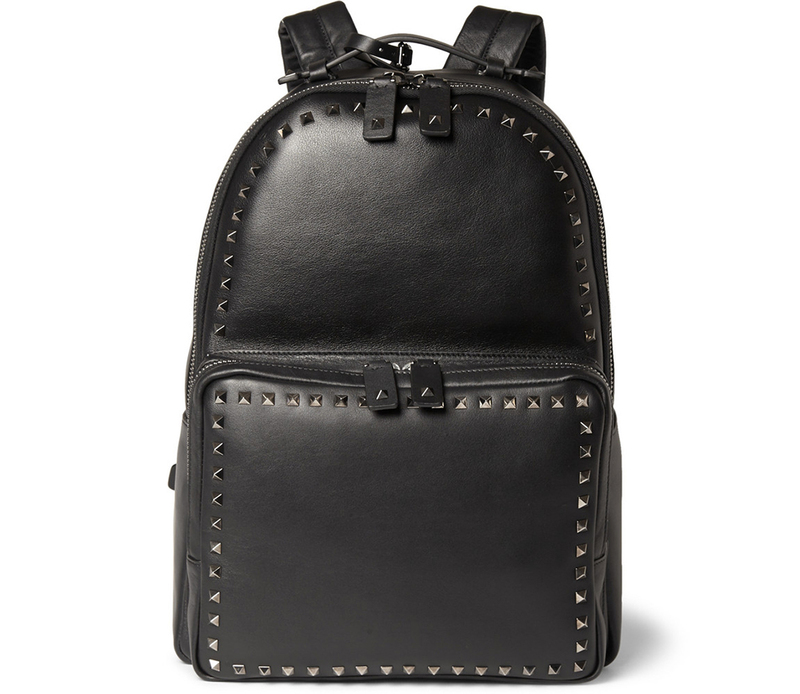 Even though I get whacked by a guy’s backpack nearly every day on the subway, I’m willing to endorse this Valentino Studded Leather backpack for both form and function. The all-black, buttery soft leather makes this bag a tempting choice for men and women. It has a clean design, multiple pockets and let’s face it, who can resist Rockstuds? Buy your Valentino backpack (or buy it for the man in your life with intentions on borrowing it every now and then) through MR PORTER for $2,695.